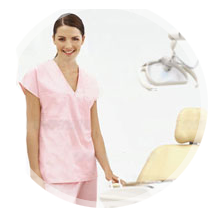 Fantastic opportunity for a part time DENTAL NURSE/ RECEPTIONIST in a well equipped fully private clinic. This is a part time position for 3 days, required: Mondays and 2 other days 8.30am to 5.30pm. Clinical skills must include restorative, implant and facial aesthetics. Sedation trained would be beneficial. We are a popular, high end and fully private dental practice. We are looking for a friendly, highly motivated individual to bring their experience in the service industry to our team and deliver excellent customer care in your role as a Dental Nurse/Receptionist. We treat a lot of phobic patients so a good chair side manner is imperative. Please contact us on 01268 440960, if you are interested in any of our vacancies.